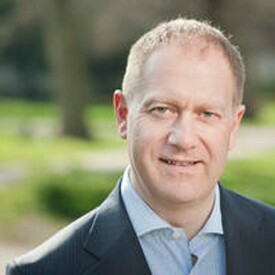 Martin Baxter is the chief policy adviser at IEMA, the worldwide alliance of environment and sustainability professionals, transforming the world to sustainability. As the Prime Minister states in her introduction to the consultation, “we need to support strong businesses that focus on long-term value creation and command public confidence and respect” – I wholeheartedly agree. Companies have a critical role to play in enhancing economic and social value in a way that is low carbon, resource efficient, enhances natural capital and respects human rights. Long-term thinking is central to realising this ambition, but current corporate governance practice places undue emphasis on short-term financial performance, to the detriment of long-term decision making in companies. to maintain a reputation for high standards of business conduct (i.e. ethics). We fully support these and, if properly and consistently applied by directors acting individually and collectively on boards, there would be a high level of assurance to shareholders and stakeholders that the business is being effectively managed to ensure long success and would, at the same time, help to gain public trust. Clearly, there is a problem. Greater accountability to society is needed through enhanced corporate transparency and directors’ accountability. This approach, set out in IEMA’s response to Government, needs to be more clearly embedded through Government’s reform of corporate governance, and be reflected in the way that Boards engage with employees and stakeholders, in executive pay awards, and in the way that companies report. If board directors are to fulfil their legal duties to consider stakeholder interests, we believe there needs to be active and meaningful stakeholder engagement. We support the option outlined by Government to create stakeholder advisory panels, these should provide a formal basis of engagement with employees and stakeholders. We also believe that designated non-executive directors should be formally assigned responsibility to ensure stakeholder views are considered in board decision-making. This broader accountability should not extend solely to shareholders, it needs to extend to the wider public. Ensuring that directors can be held to account for discharging their full set of duties requires much greater transparency than is currently required under Section 414c of the Companies Act, where only quoted companies are required to publish a strategic directors report which addresses social, human rights and community issues, employees, and environmental matters. We do not believe that effective corporate governance should be differentiated on the basis of company ownership structure. If there is a genuine desire on the part of the Government to improve trust in companies, then underpinning transparency and accountability safeguards need to apply equally to public and private companies. Therefore, we strongly believe that a mandatory reporting requirement for all large companies to disclose information set out in Section 414c paragraphs 7-12 of the Companies Act, including private companies, should be introduced – i.e. that the provisions should be extended from applying solely to quoted companies. The same should be true for mandatory greenhouse gas emissions reporting; extending the requirement to all large companies was supported by the majority of respondents to the Government’s consultation when carbon reporting was first introduced, and we see no reason why this should be introduced with immediate effect. We share many of the concerns raised in the Green Paper relating to Executive Pay. Disproportionate rewards which fail to properly reflect executive capability or performance serve to alienate employees, wider stakeholders and the public. There are a number of factors that contribute to the disconnect between executive pay and performance, but in many ways the responsibility lies with the board and remuneration committee. We would expect to see executive pay reflect success (or otherwise) in boards discharging the full extent of their duties, rather than simply narrow factors relating to short term financial performance and share price. Requiring disclosure of executive remuneration targets, and with a board statement explaining the link between these and the director duties in Section 172 of the Companies Act, would go some way to achieving this. If the Government takes forward the idea of stakeholder advisory panels, these should also be given a formal consultative role with board remuneration committees on executive pay policies and performance review. We recognise the rapid turnover in share ownership in public companies, which we believe creates an unhealthy tension between the need to generate a rapid return vs directors discharging their duties to promote the long-term success of the business. Perhaps it’s time to set a minimum time period for share ownership before giving voting rights to shareholders on remuneration policies and packages, and on other key decision that impact on long-term business success. You can read more about the essential components of a sustainable business in our report – ‘Beyond the perfect storm: the corporate sustainability challenge’.